CHINA’s Huawei, the world’s largest maker of telecom equipment and second largest manufacturer of smartphones, appears to have cleared some key hurdles with the might of its superfast 5G wireless technology amid relentless attacks by the United States. The Trump administration has claimed that Huawei poses a potential national security threat. It is lobbying its allies to ban Huawei’s equipment, which Washington alleges could be used by the Chinese government for spying. The US prosecutors have alleged that Huawei stole trade secrets and worked to skirt US sanctions on Iran. On Dec 1, with the help of Canada, it arrested Meng Wanzhou, chief financial officer of Huawei and daughter of the company founder. She faces extradition to the US to be charged for various offences. Washington has repeatedly cited a Chinese law passed in 2017 allowing state intelligence agency to compel individual organisations to “provide necessary support, assistance and cooperation” as proof Huawei can’t be trusted. US Secretary of State Mike Pompeo has warned allies against using Huawei technology, saying it would make it difficult for Washington to “partner alongside them”. 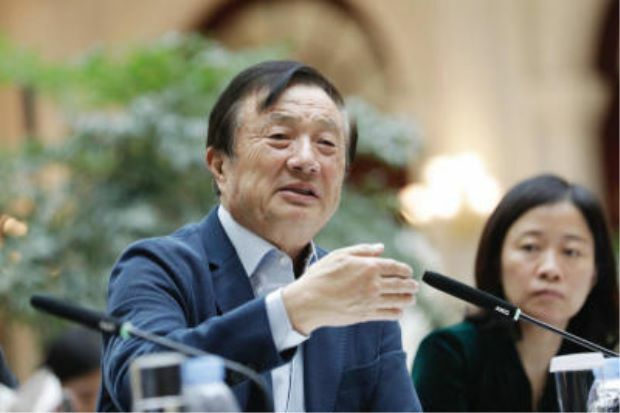 There is also constant reminder that Huawei’s 74-year-old founder Ren Zhengfei was a former engineer in China’s army and joined the Communist Party in 1978, before setting up Huawei in 1987. In the past one year, the international environment looked hostile and global picture looked grim for Huawei, when New Zealand, Australia and Japan followed the US to block Huawei in 5G involvement in their countries, while European nations led by Britain and Germany placed Huawei under scrutiny. 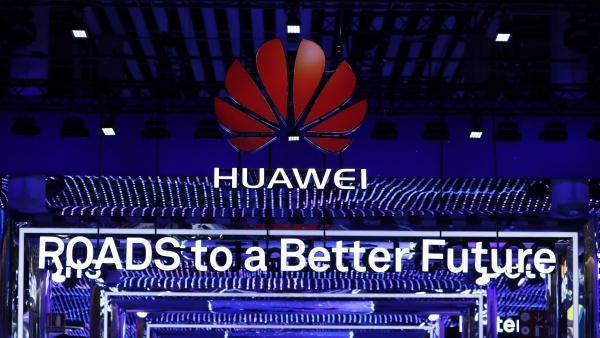 It looked like this global leader in the fifth generation wireless techno­logy, which has operations in 170 countries, was to lose many potential customers in this non-stop anti-Huawei campaign. The Chinese tech giant has vehemently denied all accusations by the US, saying these allegations are baseless and not proven. The Chinese government has also denied these claims. When taking a soft approach in response to US assault did not help to restore its international reputation, Huawei decided to go on an aggressive PR offensive recently. Huawei’s top guns began to grant interviews to foreign media to address concerns and talk about the group’s technology edge. Indeed, Huawei has already built up such a strong lead in 5G techno­logy that it is practically irreplaceable, say analysts. Huawei claims that its 5G techno­logy is at least one year ahead of its rivals, and many in the tech world agree. The most successful private company in China is an important part of Beijing’s efforts to advance superfast 5G wireless networks. Although under Chinese law, firms had to “co-operate with and collaborate in national intelligence work”, the serious-looking Ren told BBC that allowing spying was a risk he wouldn’t take. He described the arrest of his daughter Meng Wanzhou as “politically motivated” amid the year-long US-China trade war. The US is pressing criminal charges against Huawei and Meng, including money laundering, bank fraud and stealing trade secrets. Huawei has denied any wrongdoing. Huawei has also used the four-day 2019 Mobile World Congress in Barcelona held last week as a platform to further its media blitz. He added that Huawei must abide by Chinese law and laws of countries where it operates. “Huawei will never, and dare not, and cannot violate any regulations,” he pledged. Faced with so much scrutiny, it is no wonder that Huawei’s issue overshadowed the launch of new products and other tech giants at the global trade fair. To the delight of Huawei, GSMA – a global lobby representing more than 750 network operators and the Mobile World Congress organiser – has appealed to European policymakers not to ban Huawei in Europe’s 5G networks. It urged countries to take “a fact-based and risk-based approach” in a statement that the US wireless industry did not endorse. Amid Huawei’s PR offensive, which includes aggressive advertising and sponsorship of events, some good news started trickling in for the Shenzhen-based company that hires 180,000 people worldwide. On Feb 12, it was reported that cyber-security chiefs in the National Cyber Security Centre of Britain had concluded that “any risk posed by involving Huawei in UK telecoms projects can be managed”. This report is seen as casting doubt on US claim of the security threat from Huawei. On Feb 19, independent tech news portal The Register reported that Europeans could not find any evidence of Chinese spying. “No concrete evidence has so far emerged that Huawei equipment contains a backdoor or any other means for China to snoop on,” said the portal’s writer Kieren McCarthy, based in Los Angeles. And according to media reports, Germany’s Cabinet has rejected American efforts to impose a global ban on Huawei, after its own security services reported that it has failed to find any evidence of spying. Both the UK and Germany are huge markets for Huawei. UK’s mobile firms – Vodafone, EE and Three – have been working with Huawei on developing their 5G networks. Huawei is said to command about 40% share in Europe’s telecom network and equipment market. Hence, banning Huawei could be disruptive in this continent. As a clear leader in 5G technology, ditching Huawei could also mean falling behind on crucial innovation for Europe. Indeed, Deutsche Telecom is predicting a two-year delay if Huawei is banned from 5G involvement in Germany. In India, media reports have suggested that Delhi might ignore US pressure after establishing closer ties with China. Huawei was allowed to participate in 5G trials in India last December. Ignoring the anti-Huawei campaign, Maxis announced last week it was collaborating with Huawei to accelerate 5G in Malaysia. Maxis, in a statement, said it had signed a memorandum of understanding (MoU) with Huawei at the 2019 Mobile World Congress in Barcelona. It highlighted that Huawei has signed over 30 commercial contracts and shipped more than 40,000 5G base stations across Europe, Asia and the Middle East. 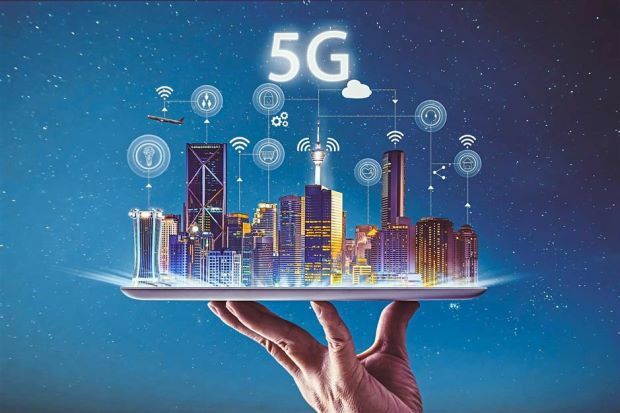 The MoU states that both parties will work to speed up the rollout of 5G technology in the country, working on full-fledged trials with end-to-end systems and services. “Maxis has long started its 5G journey, and we are already focusing on live trials, investments and evolving our network infrastructure to be ready for a future where smart solutions will be part of everyday life,” said Maxis CEO-designate Gokhan Ogut. Perhaps, the last thing Huawei expected was a tweet by US President Donald Trump on Feb 21 amid the US-China trade talks: “I want 5G, and even 6G, technology in the US as soon as possible. It is far more powerful, faster and smarter than the current standard. American companies must step up their efforts, or get left behind. Does this mean Huawei would be allowed enter the US market? But can Trump’s tweet be taken seriously by Huawei and Beijing? In fact, the onslaught against Huawei is creating big problems for mobile operators as they start building the next generation of wireless networks this year. This will not only hurt Huawei but also its suppliers in the US and other players in the world, if the US has its way. As expected, the anti-Huawei campaign has fanned up patriotism among Chinese consumers and the first casualty is Apple. Demand for Huawei’s devices surged amid local campaigns to ditch US phones. Huawei sold 30 million phones in China in the last three months of 2018, nearly three times as many as Apple, whose sales plunged 20%. The US-Huawei showdown is also hurting trade and diplomatic relations between China and the close allies of US. Exports of Canada, Australia and New Zealand to China are seeing negative impact from retaliations from Beijing and tourism linked to Chinese has also taken a hit. But Huawei’s success in 5G technology is more than geopolitics and competitive price. It represents the rapid rise of China as a tech power, which the US could not stomach. There is fear by the US that China will control the technologies of the future. Already, China is advanced in AI (artificial intelligence) and has just become the world’s largest solar power producer. China is the world’s second largest economy. 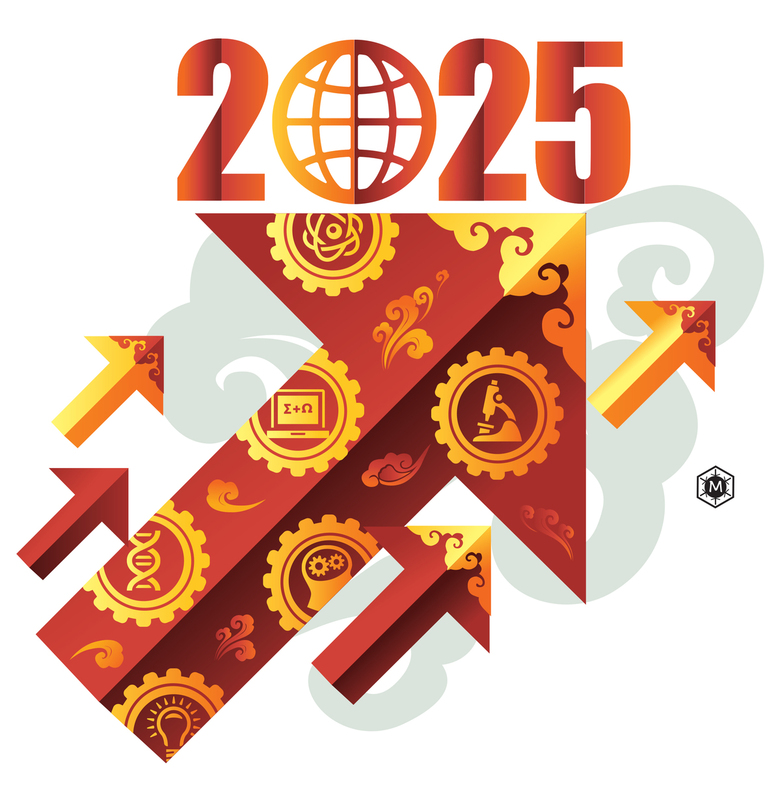 Many analysts believe it will overtake the US to become the biggest economy by 2030, with the momentum created by its 2025 Made-in-China vision and other economic plans. Huawei last year overtook Apple as the second biggest supplier of smartphones. The company is expected to overtake Samsung by 2020. In Barcelona, Huawei announced that it expected to ship between 250 million and 260 million smartphones in 2019, up 20%-30% from 2018. Judging from recent developments, the anti-Huawei campaign may put a brake to the rapid growth of this tech company, but it certainty will not crush Huawei and China’s ambition to lead in technology globally. When Jason Li was assigned to the Mobile World Congress at the beginning of 2011, shortly after he joined China’s Huawei Technologies, he impressed Ren Zhengfei, the former military officer who founded the company in 1987, with a presentation about the company’s products in English. “He [Ren] came to the company’s stand the day before the congress kicked off and asked me where I studied before joining the company. I said New Zealand,” Li said, noting that Ren immediately suggested that this newly recruited employee should fly to the UK office and help build a local talent center as part of Huawei’s global expansion. 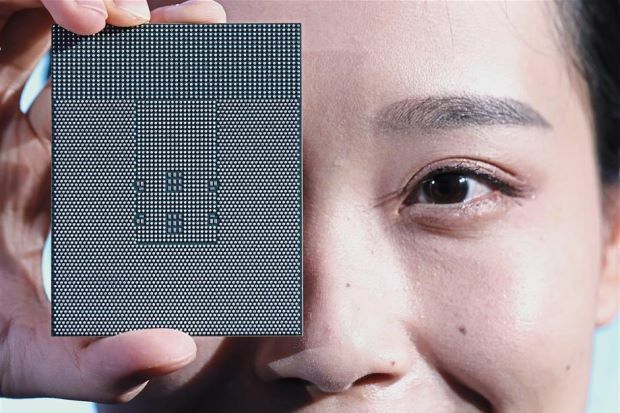 The Shenzhen-based company has experienced a rapid expansion over the past 30 years, and has footprints in more than 170 countries and regions. However, it has been under the spotlight recently as Meng Wanzhou – its chief financial officer – was arrested by the Canadian authorities in Vancouver on December 1 at the request of the US on suspicion of violating US trade sanctions. 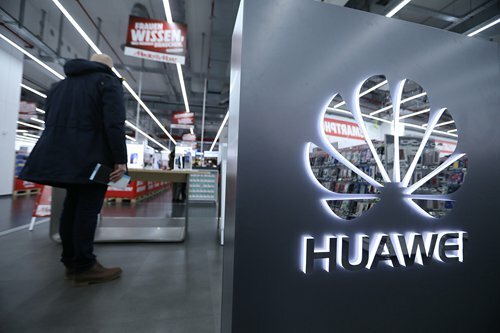 Under pressure from the US, more governments in the West have been considering blocking Huawei’s core products over security concerns, which is considered as a major setback in its development into a multinational giant. Former employees of Huawei like Li spent years working overseas, and describe Huawei’s corporate culture as a “wolf culture” that helped it become successful. However, this “wolf culture” also sparked controversy, and might have harmed its current operations. When Li started working at Huawei’s London office, he started everything from zero. From 2012 to 2014, he had traveled to over 20 countries and spent most of his days in countless hotels and airports, sacrificing much of his spare time to reach out to more foreign telecom carriers and companies. “As soon as I left Egypt after a business trip to Cairo years ago, the country plunged into civil conflict, and some of my former coworkers were stuck in the hotel. And one time in Nigeria, we were exposed to yellow fever,” he told the Global Times, referring to those days at Huawei as an unforgettable memory. Long working hours on challenging projects with constant business trips to remote areas are common descriptions of the workplace culture at the world’s largest telecoms equipment maker. “Employees at Chinese telecom companies such as Huawei and ZTE endured hardships in an earlier stage of global expansion,” Xiang Ligang, a veteran industry analyst close to Huawei, told the Global Times in a recent interview. Ren, the founder of Huawei, is considered one of the most successful Chinese executives during the country’s reform and opening-up. He was influenced by the military theories of Mao Zedong, according to a book on Huawei’s development published in April. Like Mao’s military theories, which advocated taking small and medium cities and extensive rural areas first as part of a revolution, Ren started from remote and less developed areas to avoid fierce competition with foreign rivals. “In some countries in Africa and South America, telecom operators could not afford expensive products. They also lacked staff members for maintenance and operations. This gave more room for companies like Huawei and ZTE, which continuously assigned staff to those areas, to grow,” Xiang said. Huawei beat Ericsson and Nokia in the global mobile infrastructure market in 2017, as the Chinese company took 28 percent of the market share and became the largest mobile infrastructure provider worldwide, according to the latest industry report from IHS. “In the early days, Huawei assigned most of its senior executives to the overseas market to explore business opportunities,” Xiang said, noting that accepting these assignments later became an unwritten rule. 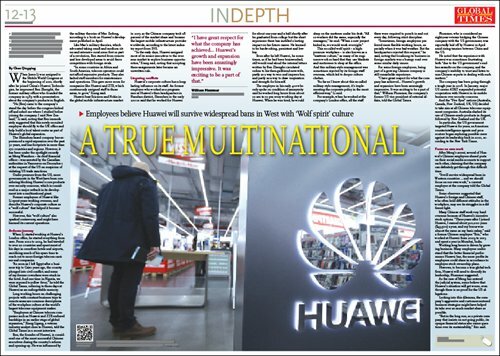 Huawei’s corporate culture has a long-lasting influence on its staff. An former employee who worked as a programmer at Huawei’s then headquarters in Nanshan district, Shenzhen in the early 2000s said that he worked for Huawei for about one year and a half shortly after he graduated from college but the short experience there has instilled a lasting impact on his future career. He learned to be hardworking, persistent and low-key. 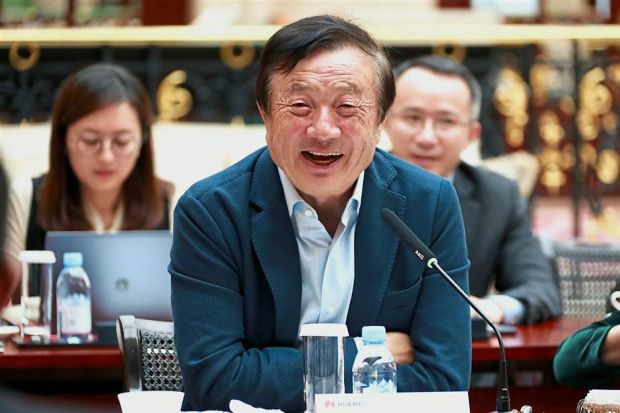 Even after he left Huawei, he sometimes, as if he had been brainwashed, still would read aloud the internal letters written by Ren Zhengfei circulated online to his then-girlfriend-now-wife, partly as a way to woo and impress her, and partly as a way to draw inspiration and strength for himself. This so-called wolf spirit – a high-pressure workplace – is also known as a “mattress culture,” as many of its engineers work so hard that they use blankets and mattresses to sleep at the office. And this military-style management was sometimes rejected by its foreign staff overseas, which led to deeper culture clashes. “As far as I know about this so-called military style management, it’s implementing the corporate policy in the most efficient way,” Li said. For example, when he worked at the company’s London office, all the staff there were required to punch in and out every day, following strict discipline. “Sometimes, foreign employees preferred more flexible working hours, especially when it was bad weather. But the headquarters rejected this request,” he said, noting that localizing its business in foreign markets was a bumpy road over some similar daily issues. For some foreign employees, being part of a growing Chinese company is still remarkable experience. “I have great respect for what the company has achieved… Huawei’s growth and expansion have been amazingly impressive. 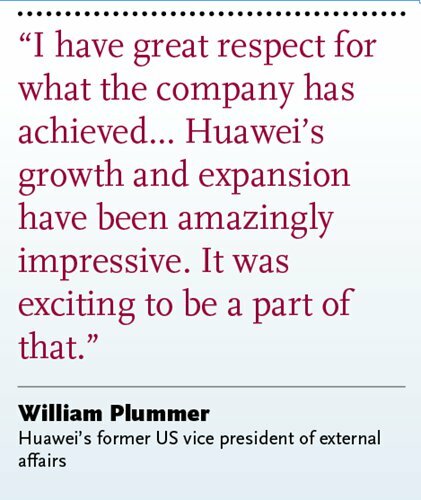 It was exciting to be a part of that,” William Plummer, the company’s former US vice president of external affairs, told the Global Times. Plummer, who is considered an eight-year veteran bridging the Chinese company with the US government, was reportedly laid off by Huawei in April amid rising tension between China and the US. The company has been going through a tough year in 2018. In January, major US carrier AT&T suspended potential cooperation with Huawei in its mobile business over security concerns. And the “Five Eyes” nations (Australia, Canada, New Zealand, UK, US) decided to take aim at all Chinese telecoms equipment companies. Australia slashed its use of Chinese-made products in August, followed by New Zealand and the UK. 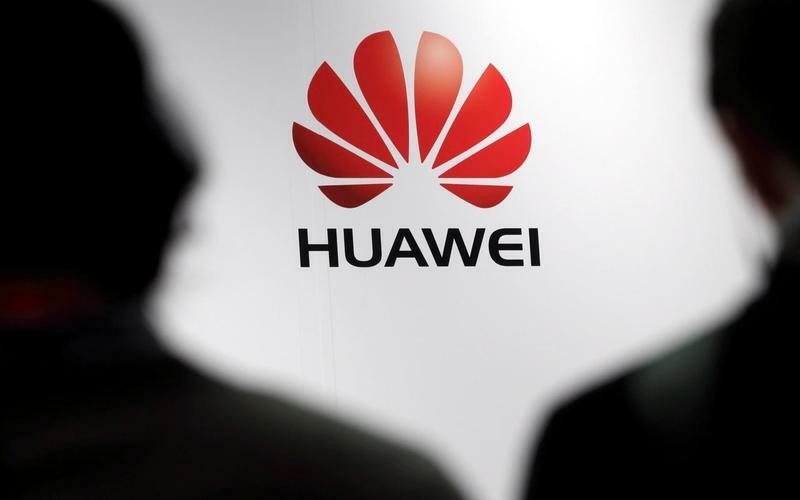 In particular, the US government targeted Huawei for years, as American counterintelligence agents and prosecutors began exploring possible cases against its leadership back in 2010, according to the New York Times. After Meng’s arrest, several of Huawei’s Chinese employees shared posts on their social media accounts to support each other, claiming that the company can definitely get through this difficult time. “It will survive widespread bans in Western countries … and we should focus on our own work,” a current employee at the company told the Global Times. Some observers suggested that Huawei’s foreign and Chinese staff, who often hold different attitudes in the workplace, may see its struggles in a different light. Many Chinese staff work very hard overseas because of Huawei’s incentive stock options. “Three years after I joined Huawei, I earned about 300,000 yuan ($43,500) a year, and my bonus was almost the same as my basic salary,” said a former Chinese employee “Eric,” who worked at Huawei from 2009 to 2013 and spent a year in Mumbai, India. Working long hours is driven by growing business. Many employees understand that the better financial performance Huawei has, the more profits its employees could share in accordance to employee stock ownership plans. However, to become a true global tech firm, Huawei will need to diversify its leadership, Plummer suggested. As the case of Meng has entered the judicial system, some believe that Huawei’s situation will get worse, even though there is no proof for the US allegations. Looking into this dilemma, the company’s aggressive and customer-centered business strategies might have helped its take over as much market share as possible. “But in the long run, as a private company that insists on not going public, its opaque financial status also raises questions over its sustainability,” Eric said. 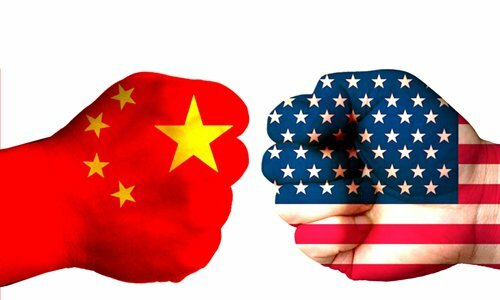 China should be confident in this: As long as China maintains steady peripheral diplomacy, the US can do nothing to China and Beijing will gain the initiative in diplomacy toward Washington. Halliburton DID HUAWEI VIOLATE . 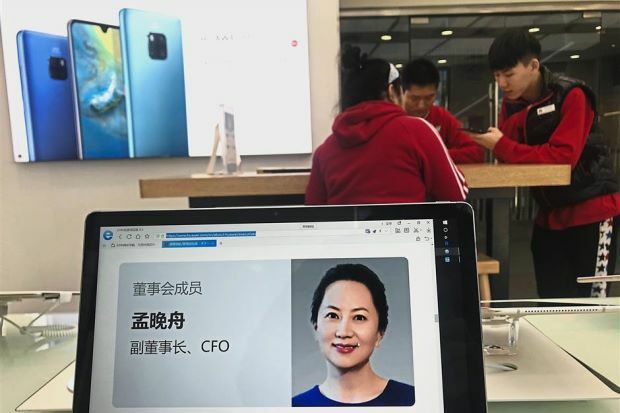 In custody: A profile of Meng is displayed on a computer at a Huawei store in Beijing. The Chinese government, speaking through its emb.. 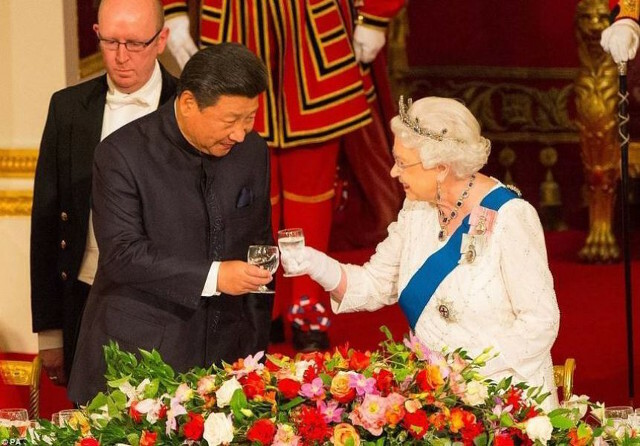 While the rest of the world is discussing unguarded comments made by Queen Elizabeth II saying that Chinese officials were “very rude” during Xi Jinping’s state visit last year, Chinese state media has only seen fit to author a single editorial on the subject. The Queen mocked Chinese officials in private comments that were made public during a garden party in Buckingham Palace. The 90-year-old monarch spoke candidly with the officer in charge of security during last year’s state visit — which was said to have kicked off the “Golden Era in UK-China relations” — while a camera rolled nearby, picking up their conversation. The video and the Queen’s remarks have made headlines across the world. However, the official reaction in China has been very muted. When asked by reporters at a regular Q&A session yesterday if that “Golden Era” still continues today, Foreign Ministry spokesperson Lu Kang opted to neither confirm nor deny. Felicia Sonmez from The Wall Street Journal also asked if China thinks that the video was released on purpose. “I think you should refer your question to those who put the footage on the website,” Lu replied, though that question was later deleted from the official transcript of the briefing. Meanwhile, a report on the Queen’s comments carried by BBC World News was blanked out in China. Last October, both sides declared that the state visit was “very successful.” The Queen herself said that it was “a milestone in the unprecedented year of co-operation and friendship between the United Kingdom and China.” Prime Minister David Cameron said that the trip had managed to drum up $58 billion in Chinese investment. With those economic ties in mind, the Global Times sees the Queen’s comments as very minor. 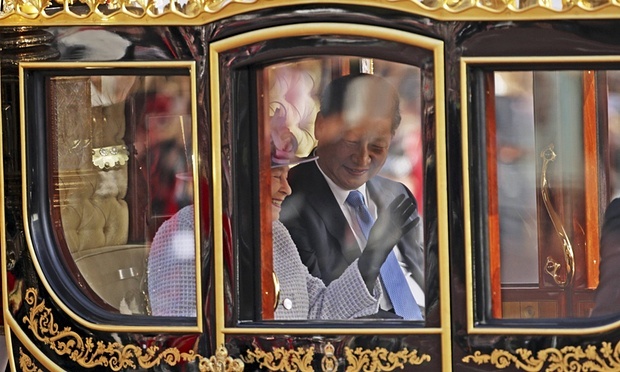 “The Sino-UK relationship will not be influenced by this. The Golden Era is based on profound interests,” the editorial said. The Global Times editorial took a jab at these twin blunders, writing: “But among the Western countries, Britain is one of those that gets caught with its pants down and exposes itself most often.” It’s hard to argue with that assessment, following Cameron’s remarks, Nigerian President Muhammadu Buhari urged the UK to return assets stolen by corrupt officials. “I am not going to demand any apology from anybody. What I am demanding is the return of the assets,” Buhari said at the anti-graft event. Why Refusing a Pay Cut May Get You Fire? HSBC Holdings Plc will impose a global hiring and pay freeze as part of its drive to cut as much as $5 billion in costs by the end of 2017. The measures, which affect the consumer and investment banking businesses, were outlined in a memorandum received by employees on Friday, Gillian James, a spokeswoman for the bank, said Sunday in an e-mailed statement. Europe’s largest bank, which will release full-year earnings on Feb. 22, is mulling whether to move its headquarters away from London, partly because of the tax burden and tougher regulatory scrutiny. 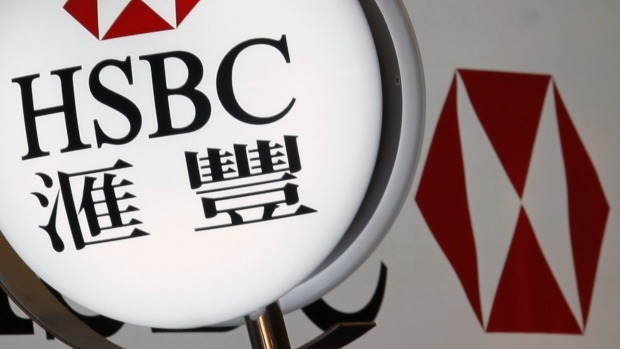 HSBC Chief Executive Officer Stuart Gulliver, 56, in June outlined a three-year plan to pare back a sprawling global network by shutting money-losing businesses and eliminate as many as 25,000 jobs as he seeks to boost profitability. Barclays Plc extended a freeze on hiring new staff indefinitely in December, while European lenders including Credit Suisse Group AG and Deutsche Bank AG are cutting thousands of jobs to shore up earnings. The moves were reported earlier by Reuters. The shares fell 1.6 percent to 484.25 pence at 10:10 a.m. in London, extending losses this year to about 9.6 percent. They dropped 12 percent in 2015. Under its three-year plan, the London-based lender is seeking to reduce the number of full-time employees by between 22,000 and 25,000. In the U.K., the bank may eliminate as many as 8,000 jobs. As part of its focus on more profitable markets, HSBC is reviewing its operations in Lebanon and may exit the Middle Eastern country, people with knowledge of the matter said earlier this month. The bank is closing its Indian private-banking business, people familiar with that move said in November. Feb 28, 2012 … HSBC’s annual profits rose 15% to £13.8bn ($21.9bn) in what it called a year …The bank said that 2011 was a year of major progress for HSBC. FOR centuries, relations between Britain and China have been undulating, rising rather more than declining. 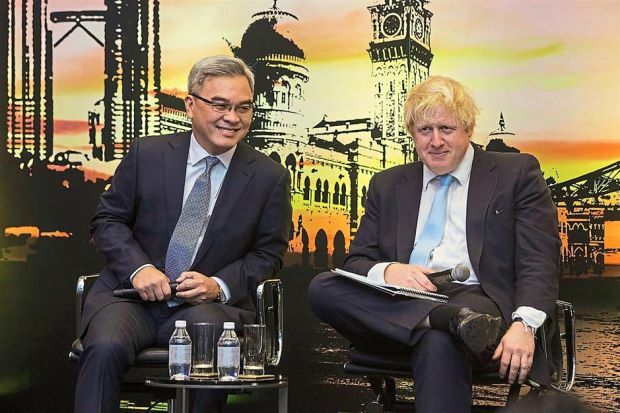 In that time, Britain has been more ­anxious to penetrate Chinese markets and forage for what China has to offer than the other way round. Gold, the auspicious colour in Chinese culture, went well with the red of the carpet and the Chinese flag. And Britain was only too happy to oblige. Many contemplating migration purchased homes abroad from Vancouver to Kuala Lumpur. Jackie Chan bought a luxury condominium in Damansara Heights. At the time, an Englishman from off the streets in central England put that crucial question to me: What would happen after China “takes over” Hong Kong? I replied that Hong Kong would instead take over China in many ways that mattered. Soon after 1997, Deng Xiaoping’s credo of “it’s glorious to be rich” was abundantly clear throughout the land, often excessively so. President Xi Jinping’s pledge that China and the United Kingdom will build a “global comprehensive strategic partnership” in the 21st century will bring China-UK relations to a new level and endow their ties with a significance that goes beyond the bilateral scope. In his talks with British Prime Minister David Cameron on Wednesday, Xi described the upgraded China-UK partnership as opening up a golden era for an enduring, inclusive and win-win relationship that will enable the two sides to jointly create an even brighter future for their relationship. The noticeable improvement in China-UK ties has been the result of the strong political will from both sides to transcend their differences and shore up mutual respect, reciprocal cooperation and mutual learning. During Xi’s ongoing visit to the UK, the two sides have signed a number of intergovernmental and business deals worth about 40 billion pounds ($62 billion), including an eye-catching agreement that means China will partly finance a UK nuclear plant. This nuclear project will be China’s first in the West, and according to Cameron, it will create thousands of jobs in the UK and provide reliable, affordable energy to nearly 6 million homes when operational. Such fruitful results show China and the UK are substantiating their cooperation with concrete deals. And as Cameron has said, a strong economic relationship can withstand frank disagreements on some other issues. With the UK pledging to be China’s best partner in the West and China looking to build a golden decade with the UK, the two sides have set a good example in developing ties between a major developing country and a major Western power. Xi has stressed the open and inclusive nature of the China-UK comprehensive strategic partnership, which means the stronger bond between Beijing and London does not target any existing alliance or partnership the two have forged with other countries. Under the principle of voluntarism, the partnership can be expanded to include other partners so as to bring benefits to more countries. The quick reconciliation and warming of bilateral ties would not have been possible if the two sides had not deepened their mutual understanding, built mutual trust and committed to reciprocal and meaningful interaction. In the 1950s, China’s stated aim was to surpass the industrial achievements of the UK, which however failed. Decades later, the UK welcomed Chinese President Xi Jinping with pomp and pageantry and announced the two countries were entering a “golden age.” China has roughly overtaken the UK in gross GDP, although the living standards of the Chinese still lag far behind the British. 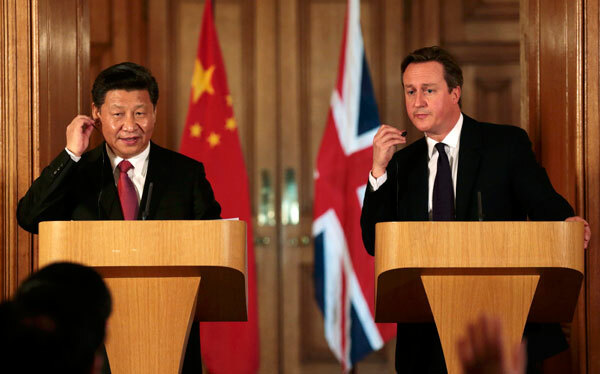 During Xi’s stay, China and Britain signed contracts worth 40 billion pounds ($61.62 billion). 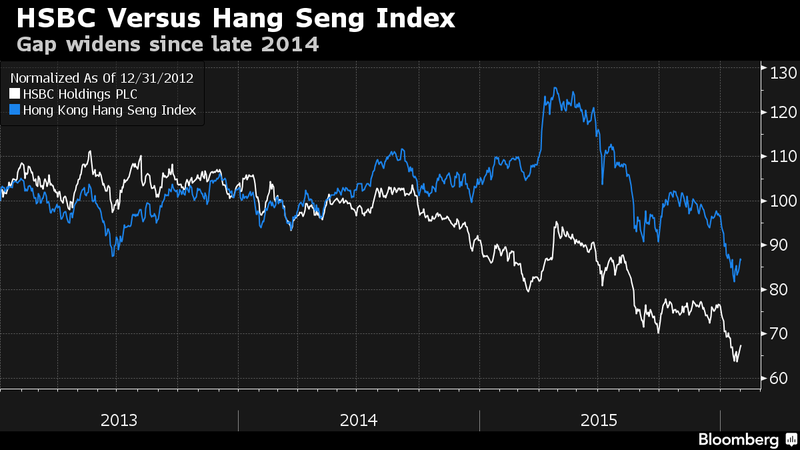 London will become the top offshore yuan center apart from Hong Kong. The UK also adopted measures to relax visa rules for Chinese tourists. These combined give people more faith in the comprehensive strategic partnership between China and the UK. 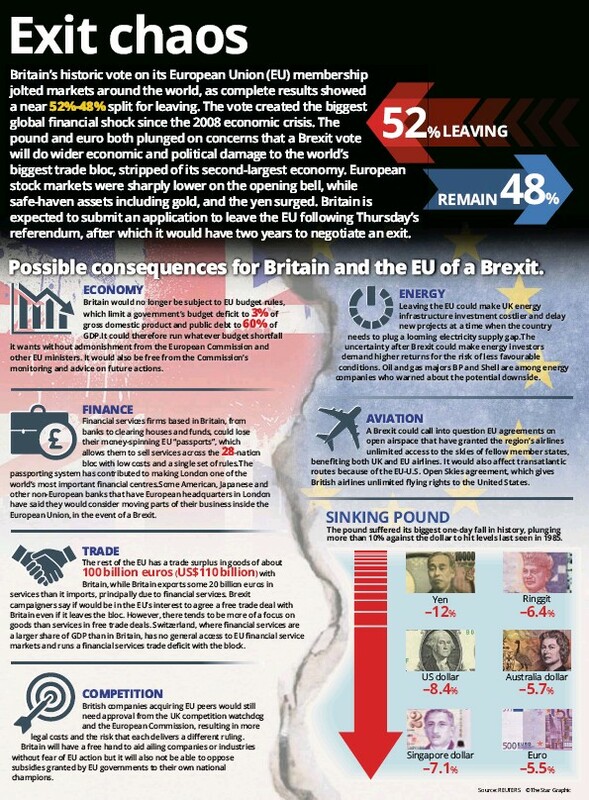 The embrace of China and the UK with open arms primarily proves that the West’s economic alliance designed to counter China does not exist or has been overthrown. Economically, the West has more noncompliance than consent across the board to challenge China. Militarily, the West has NATO at the core, but inside it is still not united enough to pressure China. China’s military pressure mainly comes from the US-Japan alliance, which is trying to involve smaller countries around China to enhance the deterrence. As China’s economic development has bolstered its military might, it has increasing confidence in safeguarding the country’s security. The UK seems to have distanced itself from the Western group that may threaten China and explicitly wants to befriend us. 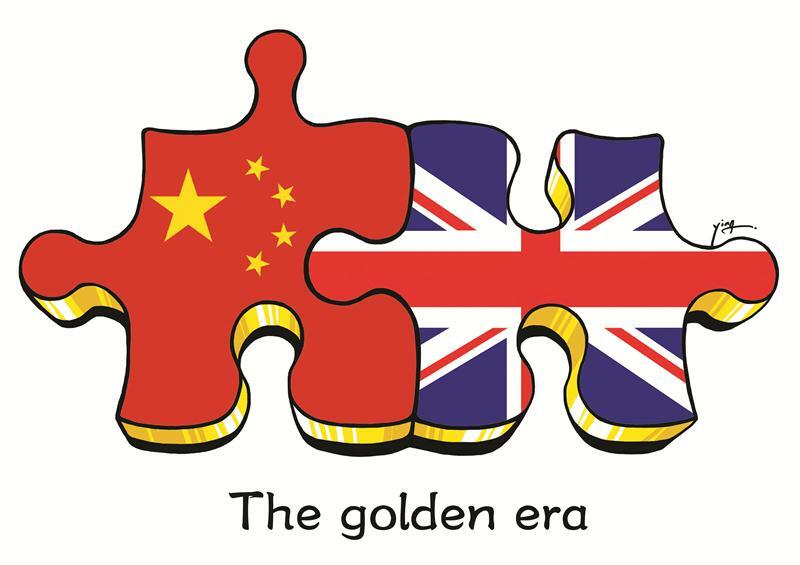 As an important member of the Western world, the UK’s decision to usher its ties with China into a “golden age” has symbolic significance. The external ideological pressure is one of the thorniest issues for China currently, and has huge influence on China’s domestic values debate.